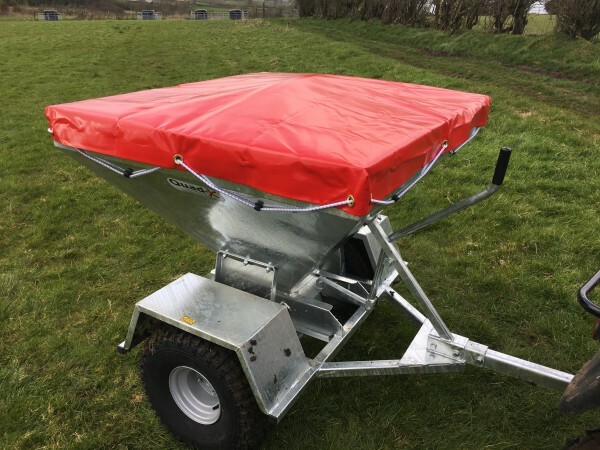 Imagine…No more bags and no need for troughs. 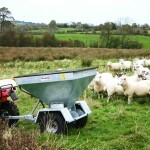 A Quad-X Fixed Spacing Model stock feeder takes the hassle out of feeding. Without it, feeding stock involves time spent hauling bags of feed around and getting jostled by stock as you try to make it to the trough. The Hopper has a capacity of 470L allowing you to feed your entire stock in just one fill, saving valuable time. the Fixed Spacing Model distributes feed in piles 6ft apart and allows you to adjust the feed rations from 1/2L to 2L. The electric model features a drop counter, and provides excellent ground clearance. 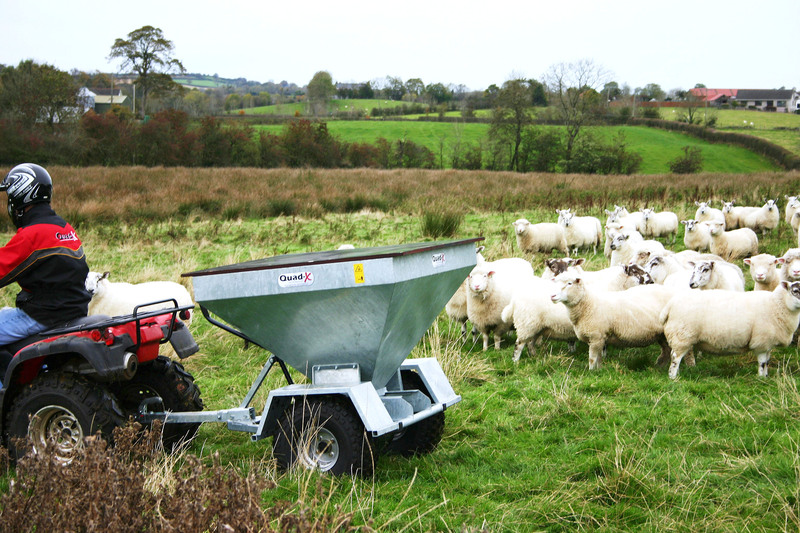 When used to feed Ewes in lamb, the stock Feeder helps to save foetal loss by doing away with the crowding and shoving at the trough giving each animal a fair chance at the feed. 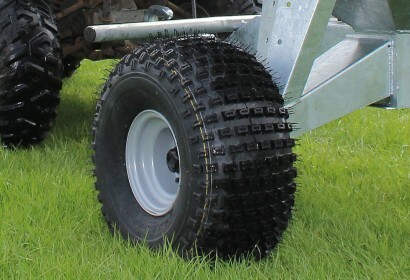 Mud Guard come as standard to deflect dirt mug and loose stones.